Starting from the version 3.3, LANState supports the SNMP monitoring. You can configure checks for monitoring traffic, port connections, switch port numbers, and other data via the SNMP protocol. Starting from the version 3.9, LANState supports the switch port monitoring. 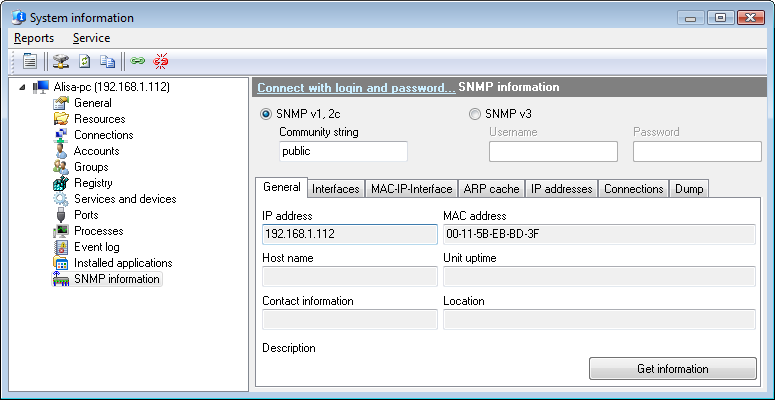 Starting from the version 6.0, LANState Pro can receive and monitor SNMP traps. Read more on SNMP monitoring, SNMP traps. LANState Pro can retrieve a bunch of useful data from switches, routers, and other network devices supporting SNMP. LANState Pro also builds the switch connection table which can be exported to a CSV file.